A wall of dust as tall as 1,000 feet and 200 miles wide has roared across parts of West Texas and New Mexico. The dust storm late Tuesday is yet another sign the region is rain-starved. 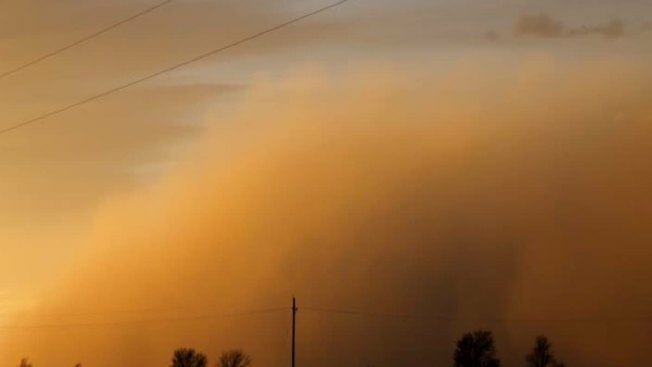 National Weather Service meteorologist Charles Aldrich in Lubbock said Wednesday that the dust was lifted into the air ahead of a fast-moving cold front that reached the city, already more than 1.5 inches behind on precipitation this year as drought lingers. Wind gusts reached 50 mph, he said. Aldrich says the dust storm began in Amarillo and the wall of fine soil particles extended west into New Mexico and east to near Post, about 40 miles southwest of Lubbock. Dust storms aren't unusual in the region and form when wind whips up loose soil.